In a matter of two weeks I heard the same message. In Kansas City we talked about poker. You have two players, both with a pair of 7’s. One player is down to their last $10, the other has $1000s in chips. Who plays with more confidence? 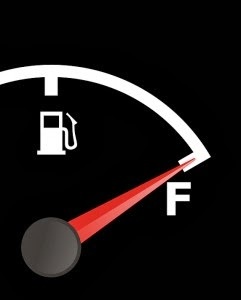 When he was here in Halifax, Mike Lipkin talked about a gas gauge: there are two drivers, with one the needle is on Empty, the other the needle is on Full. Who drives with more confidence? Here is the hard question: on a daily basis, what are you measuring? What is your gas/poker chips that define your confidence, your success? Not your bosses or your co-workers measure, your measure. You are in control of defining (and measuring) your success. Years ago I had a director who left work every day promptly at 4:30 because he had a young family at home. Some people measured that as a fault; luckily, his family gauge, his key measure of success, was full when he left. Hindsight is 20-20. Maybe running out of chips gets you first in line at the buffet, or maybe you are still using the old “Ran out of Gas” routine. But then again, maybe not. Go fill 'er up. I was my father's favourite child. Never mind that I had five brothers and a sister. In fact, I am the most beautiful woman in the world next to my mother. I know this because my father told me so. 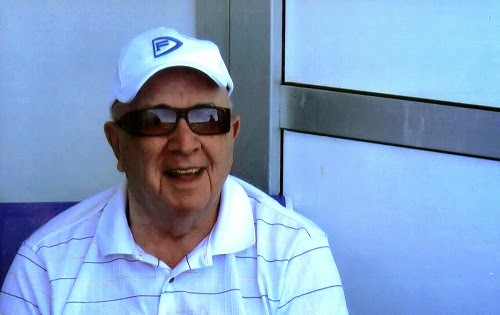 Okay, I know my father is a little biased but every time he said that I would laugh, and say, "Thank you!" It was great to hear the words. My father also had five sisters and five brothers - he was the eldest child - and all of them were his favourites. And all of his sisters were also the most beautiful women in the world. Whenever any of them called, he would tell them so. No matter he had just talked with another favourite sibling. When someone needed a boost, they would call my father. He was a role model to many, including me. Always cheerful, always giving a positive word. And now that he has passed, my mentor more than ever. 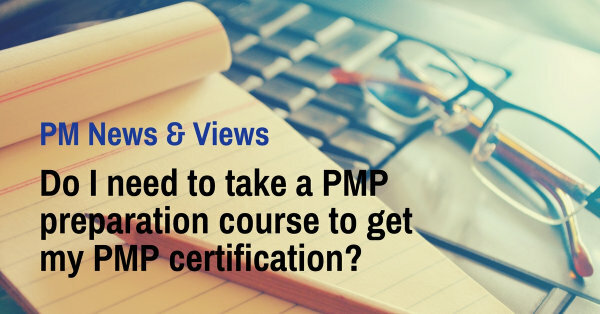 Do I need to take a PMP preparation course to get my PMP certification? One of the requirements for the PMP (Project Management Professional) certification is that you must accumulate 35 contact hours of education in project management. Some people read this to mean 35 hours taking a PMP preparation course. Now, I am totally in favour of people taking a preparation course to ensure they are ready to pass the exam. However, I would like to talk a bit about what the 35-hour requirement means. Thirty-five hours of project management education is any training that relates to the PMBOK (Project Management Body of Knowledge). For example, if you have taken a leadership course on motivating your team, training in procuring resources, or a session on using Microsoft Project to create a project schedule, these all count. Any training related to working with projects or project teams would count, as well as training related to the 10 knowledge areas of: project integration, scope, time, cost, quality, human resources, communications, risk, procurement and stakeholder management. You can also put bits of training together. For example, if you've taken 4 one-day courses and 2 half-day courses, and they all add up to 35 hours, you can input them all to represent your 35 hours of PM education. There is a time restriction on the work experience but not for past training. This can be sometimes be confusing. Any past training you've ever taken can qualify if it's related. For example, when I did my own application, I included courses from my Bachelor of Commerce degree taken many years ago. Don't stop at 35 hours - if you have more, include them in your application. So, there are many ways to get your 35 hours. That is not to say that you shouldn't take a PMP prep course - you don’t have to. But these courses are certainly a great way to review the highlights of what you need to know and feel confident you have all the bases covered when you write your exam. Good luck in all of your PMP and CAPM exam preparations!